Botulinum toxin (Botox) is a muscle relaxing agent that is derived from bacteria (clostridium botulinum). The active ingredient of Botox is a neurotoxin which is used in extremely small amounts to block the nerve impulse to the involved muscle. The effect of botox is temporary and used to reduce muscle spasms and/or muscle action that causes dynamic facial wrinkles. Botox is used to treat a variety of conditions related to muscle overactivity including “crows feet”, mid-forehead furrows, brow droop, disturbing facial tics, blepharospasm, hemifacial spasm, spastic torticollis, and Meige syndrome. Botox is typically injected into the involved muscle with a small, fine needle. There is usually little discomfort related to the injection, although some patients report minor and temporary discomfort. The peak effect of Botox is approximately two weeks after injection, but many patients notice improvement within the first several days. The length of action depends upon the amount of toxin used and your tolerance for the return of muscle action. 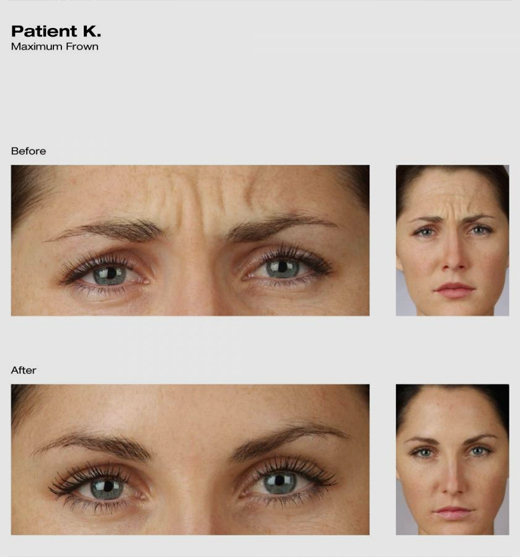 In most cases, the duration of Botox effect will last between three and six months. Treatments with Botox may be repeated, as needed, indefinitely. Botox is a safe and effective medication and has been used for treating muscle overactivity for decades. Dr Edelstein was involved as one of the clinical investigators in the mid-1980’s. The risks and side effects of Botox depend upon the amount of toxin used and where it is injected. 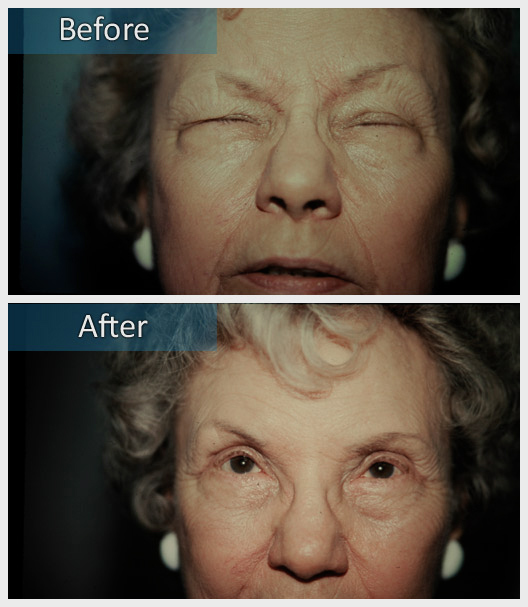 When used around the eyes, the most common side effect is reduced eyelid closure. This can result in dry eye symptoms, such as light sensitivity and tearing. Other side effects may include eyelid drooping eyelid malposition or double vision. These symptoms are temporary, dose dependent and may be treated with topical lubricants until the eyes adapt or the muscle function returns. The value of Botox is exceptional, particularly to patients with conditions such as blepharospasm. When patients have cosmetic concerns, botox may be a more simple alternative to incisional surgery. 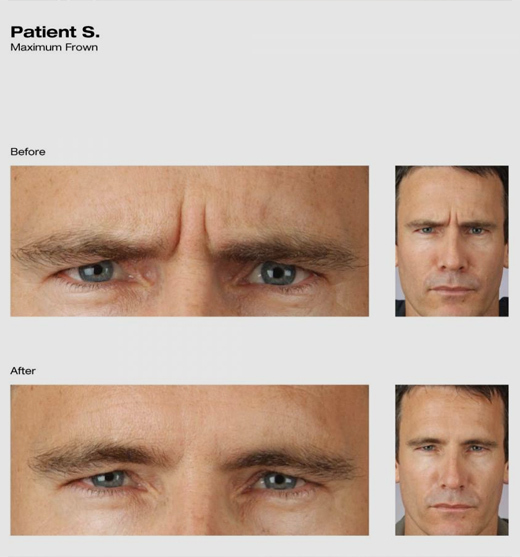 Please visit the official Botox website for more information. Recognize that injectables are medical treatments and belong in the hands of a qualified doctor. Choose only U.S. FDA-approved injectables for a use that is specifically cosmetic and an application that is similar to your condition. Accept that there is no such thing as a generic or substitute brand U.S. FDA-approved injectables. Do not accept bargain prices or deep discounts, as you may not be getting a U.S. FDA-approved injectable or an appropriate dosage. Do not accept treatment at a party, public gathering, spa, salon or other non-medical setting. Do not act on impulse when you choose injectables. Follow proper procedure by learning about your doctor and the treatment you will have. Please visit the site below for more detailed information regarding injectable safety.